We are a leading Manufacturer of analog temperature counter from Navi Mumbai, India. Being a customer focused organization; we are engaged in manufacturing and supplying a wide assortment of Analog Temperature Counter. Manufactured using optimum grade material, these counters are in tandem with international quality standards. Also, we offer customization facility of the offered range at industry leading rates. 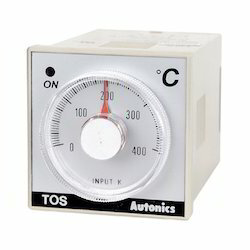 Looking for Analog Temperature Counter ?